Sebastian Gorka, a former aide to President Trump fired amidst mounting criticism of his anti-Muslim views, is coming to Arlington to raise money for local Republicans. The Arlington Republican Women’s Club announced this weekend that Gorka will be a featured guest at its Sept. 23 fundraiser, to be held at the Army-Navy Country Club. Tickets run anywhere from $25 to $250 for the evening. Long a fixture on Fox News and other right-wing news outlets, Gorka joined the Trump administration shortly after doing consulting work for the campaign on foreign policy matters. Yet he frequently courted controversy during his time in the White House, particularly after reporters discovered his ties to far-right, anti-Semitic groups in Hungary, and he was dismissed from his post last August. DeLong added that she recently met Gorka at an event they both attended, and quickly convinced him to come speak in Arlington. Arlington Democrats are considerably less enthused about Gorka’s imminent arrival in the county. County Democratic Committee Chair Jill Caiazzo dubbed Gorka a “far-right ideologue” in a statement, highlighting his vocal defense of Trump’s travel ban targeting majority Muslim countries, in particular. She noted that her committee happens to holding its own potluck on the same day, headlined by U.S. Sen. Tim Kaine (D-Va) and Rep. Don Beyer (D-8th District), which she sees as a clear contrast between the two parties. 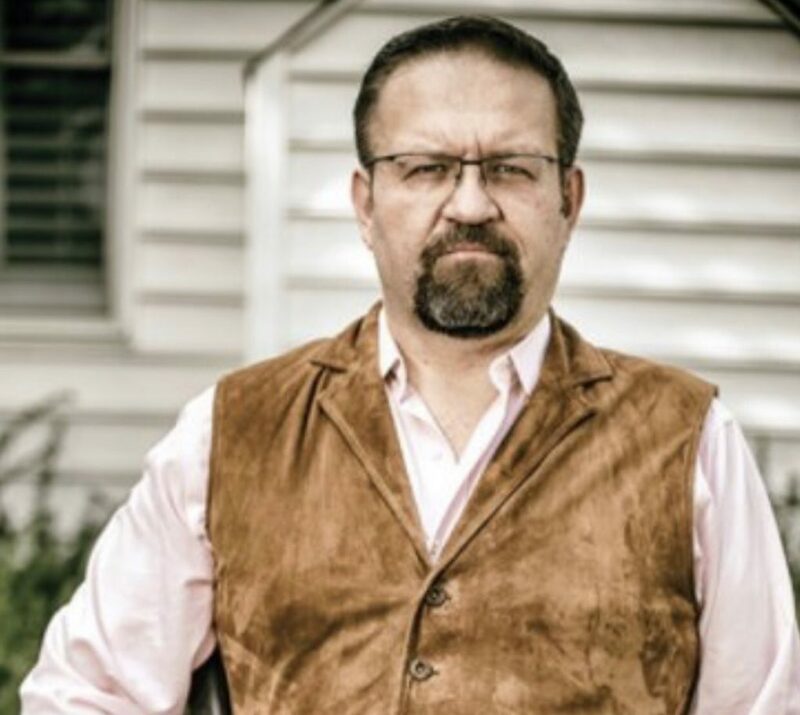 Gorka has made headlines in Arlington once before, prompting a brief Twitter outcry when someone spotted his distinctive Ford Mustang with the vanity plate “ART WAR” parked on a sidewalk near Rosslyn’s Gateway Park.